In now the twentieth year of publication, Northern California Super Lawyers magazine has recognized Cotchett, Pitre & McCarthy, LLP for its innovative approach to litigation. In 47 years of practice, the firm has built a reputation through its extensive trial experience, exemplary results and its leadership in cutting-edge, landmark cases. As the firm has built a reputation for outstanding legal services, it has always maintained its commitment to community, the rule of law and the public good. As one of the most respected trial law practices in the country, the firm is at the top of the list for critical, “bet the company” litigation. CP&M takes pride in its innovative, efficient and successful legal work and its dedication to prosecuting and defending socially just actions. 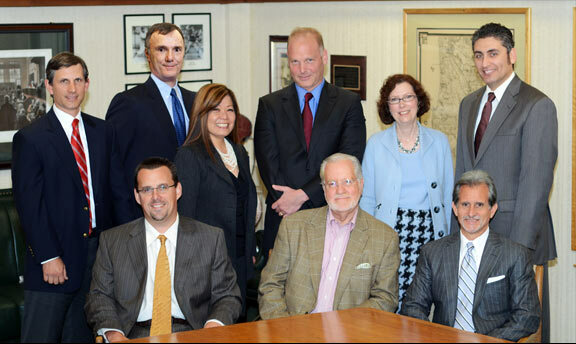 Eight attorneys—a third of the firm’s attorneys—have been honored in 2011 Super Lawyers. In addition to Joseph W. Cotchett on the Top 10 list and Frank M. Pitre on the Top 100 list, they are Niall P. McCarthy, Mark C. Molumphy and Nanci E. Nishimura. Some of the firm’s other attorneys were chosen to the Rising Stars list—Justin T. Berger and Anne Marie Murphy.